Establish the big shapes of light and dark, warm and cool. Breaking into smaller shapes, establishing better values and putting more power into the darks. 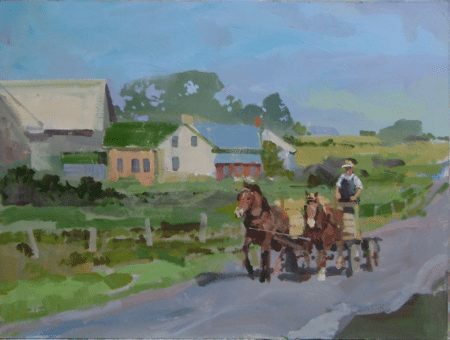 Establish the figures and reinforce the contrast between the dark figures and the lighter background. Refine the figures and I look to smaller pieces, shapes in the building. I decide to paint out the bicycles in the front. More attention to the tables and chairs. General refinement to the buildings at rear as well as to the left corner of the front building. This is how the painting looked at the end of the night. Over the next few weeks the painting would be refined. I try out the idea of adding a dog and some cattle. I add in the bridge and refined details on the house. I have moved the fence close & the cattle further away. 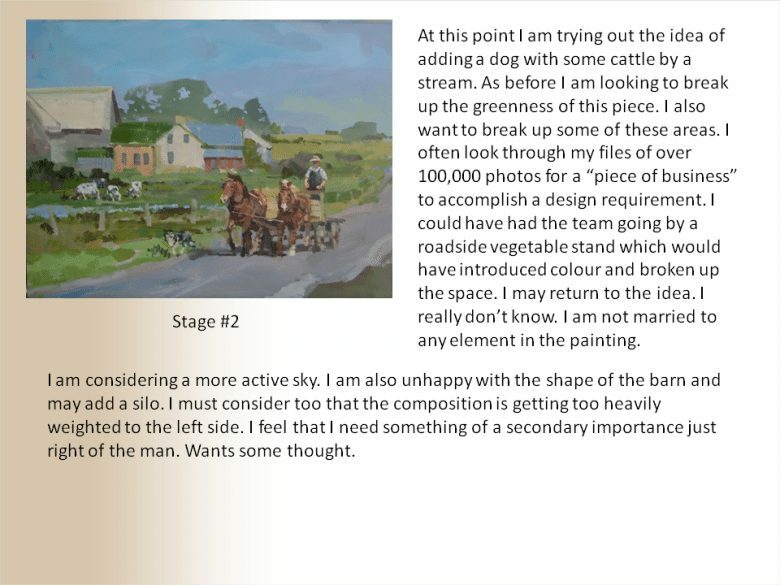 I am now bringing focus to the main element of the painting which is the farmer, his team and the dog. One person from Paintertainment will be the winner of the painting.